New & exclusive to UK Bathrooms, wedi Bathroom Packs! 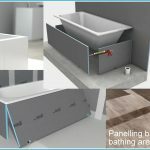 Developed in collaboration with wedi themselves, these easy to order packs come in 3 popular configurations: Packs A and B are classic corner solutions, and Pack C is designed for installation onto wooden floors. This takes into account room for joists making it perfect for installation in traditional British homes with wooden floors. 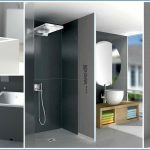 Which means anyone can have a walk-in wetroom showering area in any property! How do wedi packs work? These packs make purchasing wedi quick and simple as they have been developed to include all of the accessories and fixings required, ensuring a 100% waterproof final finish. No more worrying about the extra parts you need to order – these wedi packs take all the hassle out of configuring your new waterproof shower area base. They are designed to be tiled over, we recommend using wedi 320 tile adhesive in addition. These packs have already received praise and interest from our customers ranging from trade clients to homeowners -saving them time in planning a new wet room shower area, more packs are currently being developed for different configurations so watch this space. Get in touch with our sales team who can help you build a quote for your new bathroom or wet room today! Wet room inspiration – here at UK Bathroom we have a wide variety of wet room options for your new wetroom-bathroom, this type of bathroom installation is becoming increasingly popular as more manufacturers are creating specialist products to convert UK timber floor bathrooms into wetroom spaces ready to tile. Popular brands we sell include Wedi, Impey and Abacus wet rooms. 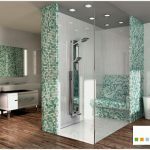 The video above shows a modern Wedi Italian inspired wetroom, with a modern, light & bright design. 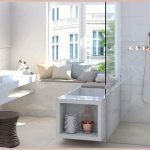 Wet rooms are on the increase in the UK, this look came across from Europe originally where they have enjoyed wet rooms for decades. 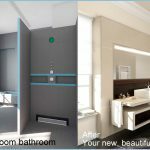 It introduces modern, open-plan living into the bathroom space. 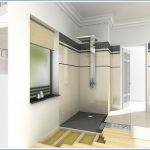 Plus points for customers include increased mobility for those of us who are less abled, a wetroom also makes an ideal family bathroom as it is safer for children.